Rob Dessommes is a Senior Mortgage Loan Officer in the Dallas, Texas location, at PrimeLending a PlainsCapital Company. As a Texas mortgage loan officer, Rob has arranged more than 3,300 mortgage loans since 1993. He is recognized for his vast knowledge of all types of mortgage loans. With over 23 years of banking experience, Rob Dessommes and his team focus on creating the best mortgage finance strategy, while minimizing costs, to help you purchase or refinance a home. Since 1986, PrimeLending a PlainsCapital Company has provided a superior mortgage origination experience. We are owned by the largest privately held bank in Texas, PlainsCapital Bank, with over 6 billion in assets. PrimeLending has grown from a staff of 20 to more than 2,800 professionals producing more than $13 billion annually. Rob is a top mortgage loan officer at PrimeLending nationwide and that equates to trust and dependability you can rely on. Rob is known as the mortgage loan officer that gets the challenging home loans done. Rob's realtors tell him that he works wonders when it comes to getting loan approvals. Rob has worked with all types of difficult mortgage circumstances and credit challenged individuals. Rob works at the Corporate office location in North Dallas on Preston & Frankford in top producing branch office in the country. From 2009 to present, Rob was recognized as one of the leading loan officers in Dallas Fort Worth by D Magazine. 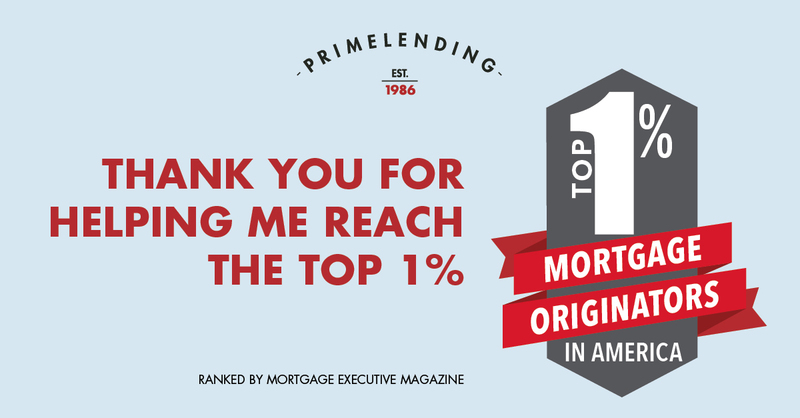 PrimeLending has been named by Dallas Business Journal in the top 5 of mortgage originators in DFW every year from 2003 to present. PrimeLending is a nationwide lender - lending in all 50 states. We are typically 3 to 4 days in underwriting and 1 day in closing when many of our competitors are 30 to 45 days. Our underwriters work weekends and so does Rob. Rob's hours of operation are 8:00am to 9:00pm all 7 days of the week. 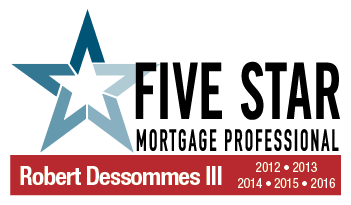 “The Rob Dessommes Mortgage Team” consists of very talented and experienced mortgage professionals with over 50 years of combined mortgage experience. Please feel free to contact me or my Team Loan Originator, Stephen Kremer at 972-407-7925 his direct line anytime. *Programs are subject to change.